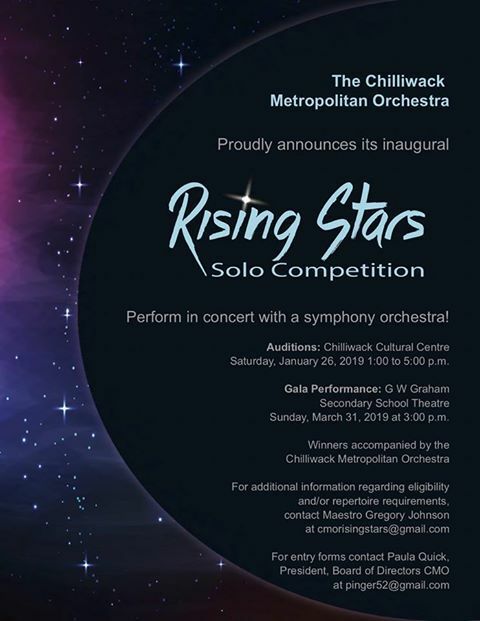 Chilliwack – This March 2019, the CMO Chilliwack Metropolitan Orchestra, will be presenting three young up and coming soloists for their very first Youth Concerto Competition! The CMO Facebook page can be found here. 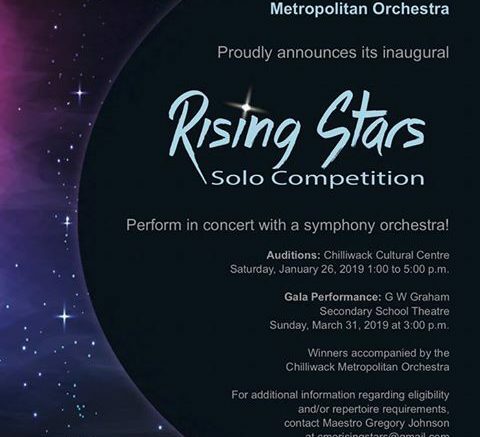 Be the first to comment on "Chilliwack Metropolitan Orchestra Rising Stars Competition – March 2019"